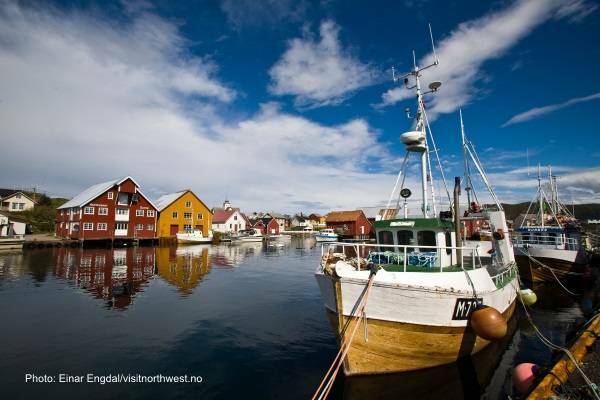 Less than an hour from Molde, situated on the ocean’s edge, you find the small fishing village of Bud. In the 16th and 17th century, Bud was the biggest trading post between Bergen and Trondheim. 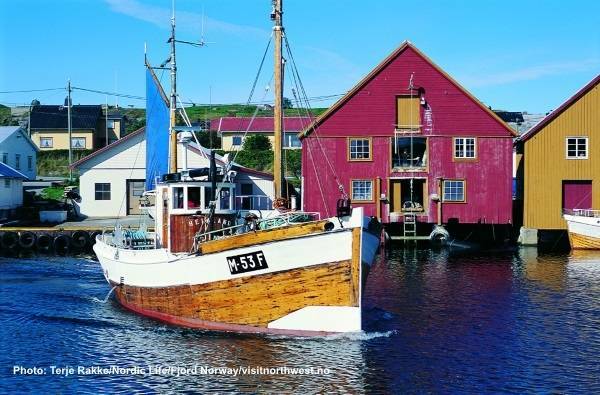 Today, Bud is still an active and charming fishing village. In Bud you can enjoy the sight of beautiful boathouses, visit some of the small shops or one of the cafés or restaurants. You may also visit Ergan Coastal Fort, a German coastal fort built during the war years of 1940-45, today restored as a war memorial museum. Exhibitions of local and regional events from World War II . Ergan also has exceptional views over the fishing village of Bud and the waters of Hustadvika. Another great possibility in Bud is to take a walk along “Kyststien” (the coastal path). This path goes mainly along the sea front and takes you through Bud and along the coast with a fantastic view to the great ocean. The estimated time to complete the path is 45 minutes (7 kilometers). If you go on the earliest trip of the day (see timetable below), you have a little time in Elnesvågen on your way back. This is another little village with some quite nice shops and other services.